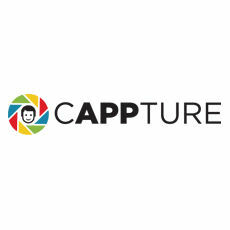 Cappture is a New York-based advertising campaign management company specializing in Demand Side and Sell Side Platforms (DSP and SSP) for agencies and publishers respectively. Cappture maintains Brandsafe and Performance inventories worldwide, offering banner ads, display and mobile, plus a full white label DSP for those who want to sell media under their own umbrella. Cappture is an advertising campaign management platform featuring DSP and SSP functionality for agencies and publishers, with a special emphasis on targeting. Cappture maintains Brandsafe and Performance inventories worldwide, offering banner ads, display and mobile, plus a full white label DSP for those who want to sell media under their own umbrella. Cappture's system prioritizes ads on websites of converting publishers and targets the right audience to boost conversions.